Cloud CAD firm Onshape is developing a mixed reality app to let designers edit CAD models in real time on the Magic LEAP AR system. Worldviz launches Vizard 6 before Siggraph 2018, adds supports for glTF and new hardware. Onshape, the cloud-hosted CAD company, is working on a mixed reality app that lets engineers directly edit and view 3D CAD models in the Magic Leap head-mounted display. Today, at the Magic Leap Conference (Leap Con) in Los Angeles, California, Onshape CEO Jon Hirschtick previewed the app to the audience. Whereas many AR/VR (augmented reality/virtual reality) apps for CAD concentrate on model viewing, Onshape says it's focusing on editing features, targetting collaboration by distributed teams in virtual space. “For my entire career in CAD, which is about 40 years, if CAD designers want to see their models, their only option has been the flat screen,” notes Hirschtick in his presentation at Leap Con. 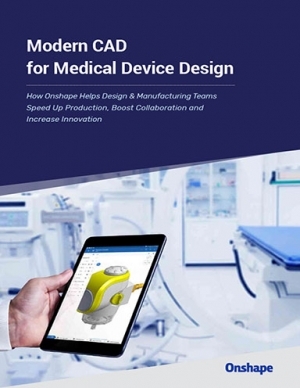 “WIth Onshape running on Magic Leap, users and see and work with CAD in an incredibly richer way—They can walk around their 3D model, look around it, look under it, physically stand next to it and see it in the context of the real world. Not just viewing, they can use the Onshape markup tools to suggest changes, then see them happen in real time,” Hirschtick adds. The Onshape app for Magic Leap, as demonstrated by Hirschtick, allows multiple participants to view and edit CAD models live in the virtual environment, at one-to-one scale. 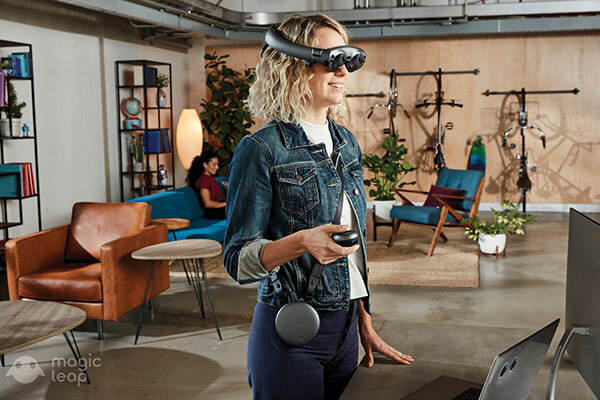 SolidWorks, the Windows-based CAD company cofounded by Hirschtick before he left it to start Onshape, is among various CAD software makers pursuing AR/VR content creating and viewing. It struck a partnership with Meta to enable CAD file viewing in Meta's headset. In the SolidWorks 2019 release, the software includes the option to export models and scenes to XR (mixed reality) for viewing in supported AR/VR hardware. 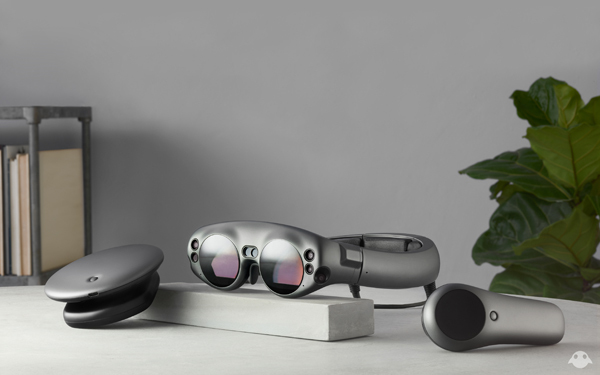 Since then, it has attracted several interested partners, including Trimble and Wacon, to develop apps and contents for the Magic Leap hardware. Demos at this week's Leap Con include drawing in AR/VR from Wacon and an architectural modeling in AR/VR with SketchUp from Trimble. Onshape published its announcement online on the day of Leap Con. The company hasn't revealed when its app will be made available. The app will be distributed through Magic Leap World, the app market place for Magic Leap hardware, according to Michael Lauer, CTO, Onshape.